Deliveries should be with you in 3-8 working days. 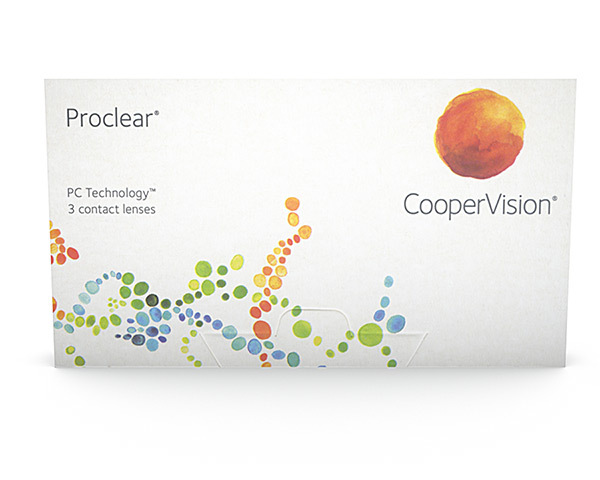 CooperVision Proclear premium monthly disposable contact lenses use unique PC Technology to provide a high level of comfort over a long period of time. Using a unique material called Phosphorylcholine, CooperVision Proclear lenses are able to retain three times more water than other soft contact lenses, keeping your eyes moist and comfortable. CooperVision Proclear Compatibles are available now at Specsavers great value prices.